Leo F. Stelten received his Ph.D. in Classics at Saint Louis University in St. Louis, Missouri. 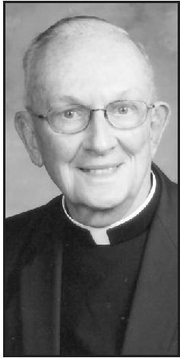 He was a Catholic priest on the faculty of the Pontifical College Josephinum in Columbus, Ohio, where he is professor of Latin and Greek and assistant cataloger of old books in the A.T. Wehrle Memorial Library. He has taught at Cardinal Muench Seminary and North Dakota State University in Fargo, North Dakota, and in Athens, Greece, at the Seton Hall College Summer Study program. He completed his undergraduate studies at the Saint Paul Seminary in St. Paul, Minnesota. Leo F. Stelten is currently considered a "single author." If one or more works are by a distinct, homonymous authors, go ahead and split the author. Leo F. Stelten is composed of 2 names. You can examine and separate out names.